Spinach and Wine: Coffee Love AND looks like a kitty had to get in on the shot! Coffee Love AND looks like a kitty had to get in on the shot! 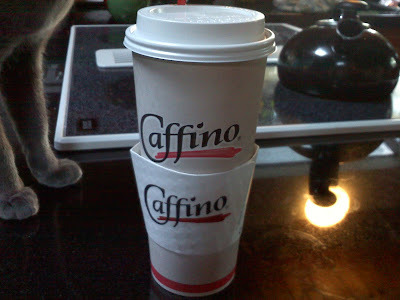 I love Caffino, its a small stand alone coffee shop in Half Moon Bay, I have never even been to the Starbucks here, Caffino is so YUMMY!